Get a detailed 200+ check points inspection report and buy used cars with complete peace of mind. Detailed digital report includes road test, photos and car condition report. Specialist technicians providing comprehensive vehicle inspection across Pakistan. Checks are done on air conditioning, horn, seat belts, locks, warning lights and more. A paint depth gauge test is used to check for previous cosmetic repairs. A visual inspection is used for evidence of accident. 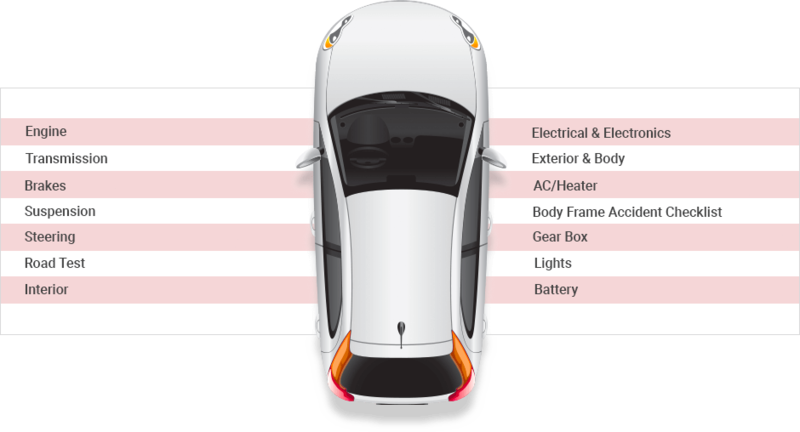 How PakWheels Car Inspection Works? 2 Our representative will contact you to organize an inspection time. 3 Qualified mechanics will visit the vehicle owner and conduct the inspection. 4 Your Inspection report will be sent via SMS & emailed to you within an hour of the inspection. Thank you so much. You guys saved us from potential loss. Your inspector's fair and critical assessment guided us and identified critical issues in the cars body frame due to accidental damage. I would recommend PakWheels Car Inspection to everyone involved in buying used cars. Inspection was extremely helpful and the whole process was very convenient. Issues which could have been overlooked were addressed and mentioned properly in the report. I am very satisfied with the service. Thank you PakWheels team! Five Star Service. Prompt and very professional team. Inspection was really helpful. The report really helped a lot as it gave me all the minor details which I missed at first glance, which also benefitted me to negotiate the vehicle's price and get a better deal! It was a very informative and satisfactory experience. I used to do the inspection myself but decided to test this service. PakWheels team worked very efficiently and pointed out a lot of things which I had ignored in my earlier assessment and helped me get a better deal. This report was just what I needed. Other mechanics don't share the details of what they have done during the periodic maintenance. I got my car inspected by PakWheels and turns out my mechanic had been ripping me off with false issues in the each service bills. I was having an issue with ignition of my Mehran. Got it checked from a number of places but no one could figure out the problem. PakWheels inspection guys came in and immediately diagnosed the issue to be off the advanced timing of my car's distributor adjustment. What is the difference between PakWheels Certified Cars and PakWheels Car Inspection? 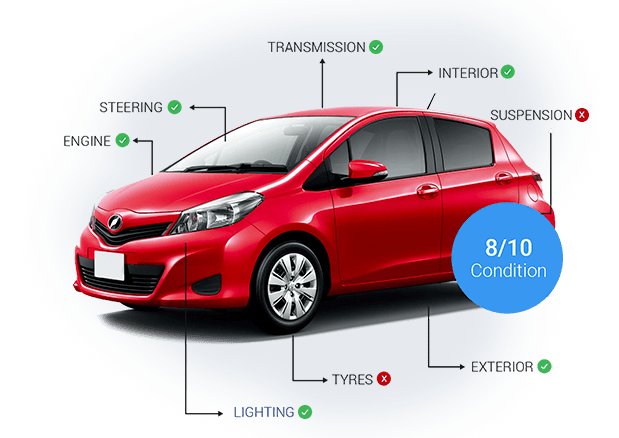 PakWheels Car Inspection is an inspection service which only tells the customer about the detailed condition of the car that is inspected. We do not approve of the car's condition in any way. Whereas PakWheels Certified Cars have been inspected and approved by PakWheels as the highest quality cars that you can buy. Inspections can take anywhere from 45 minutes to 1 hour depending on the type, age and condition of the vehicle. Will I get the report right away? The inspection report will be handed over to you within a few hours of its inspection. The report has to be further enhanced and cross-checks have to be done to omit any errors.